Parents, grandparents, aunts and uncles, and even older siblings have all likely dealt with handing their smartphones over to young children. No matter if they want to play games or watch cartoons or record funny noises, you're handing over a very personal device to those who can mess up what they don't know. 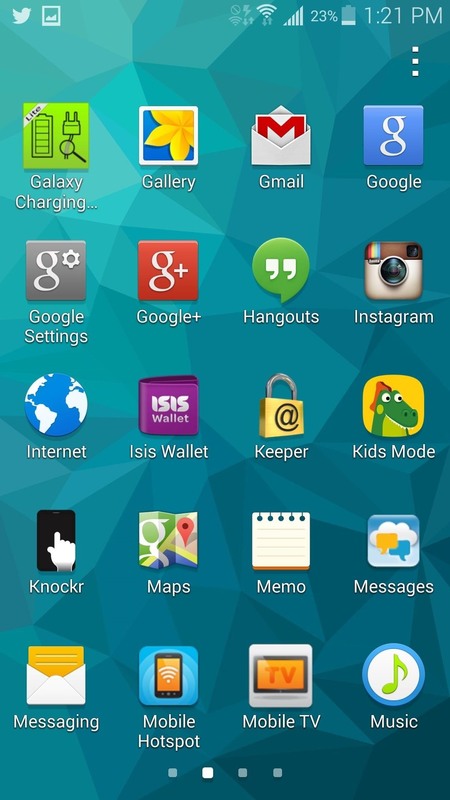 The Galaxy S5 was ready to ship with Kids Mode, a playful launcher and restriction service to allow safe use for kids. But for whatever reason, this mode was never shipped with the final device build. Today, I'm going to show you how to install, enable, and use Kids Mode. The first thing you'll need to do in enable installation from "Unknown sources". To do that, head to Settings -> Security, and place a check next to Unknown sources. 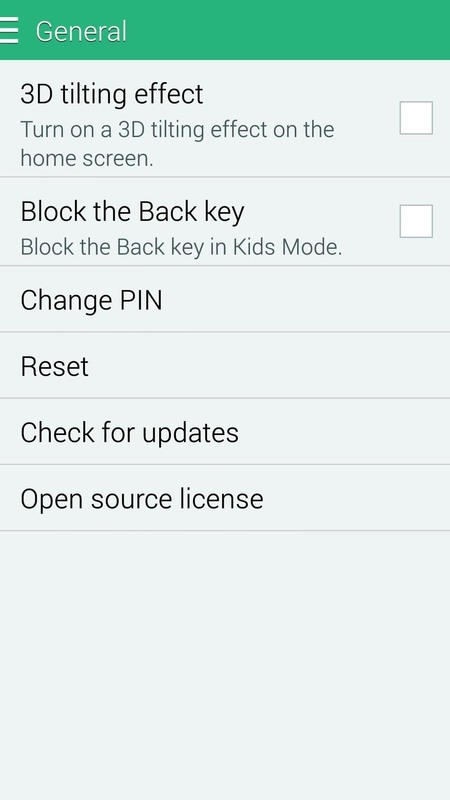 Now, grab the Kids Mode file, courtesy of Jose0726, and install it like you would any other app. Once you've done so, launch it, and let the app install the additional files needed. 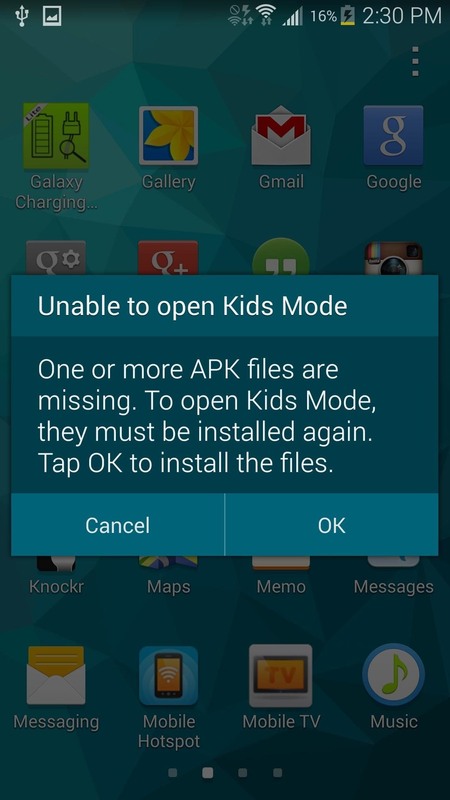 Once the additional files have downloaded, hit the home button and select TouchWiz home (or your other third-party stock launcher), since you most likely don't want Kids Mode to be your default. Now, open your app drawer and launch the app, then go through the configuration prompts. 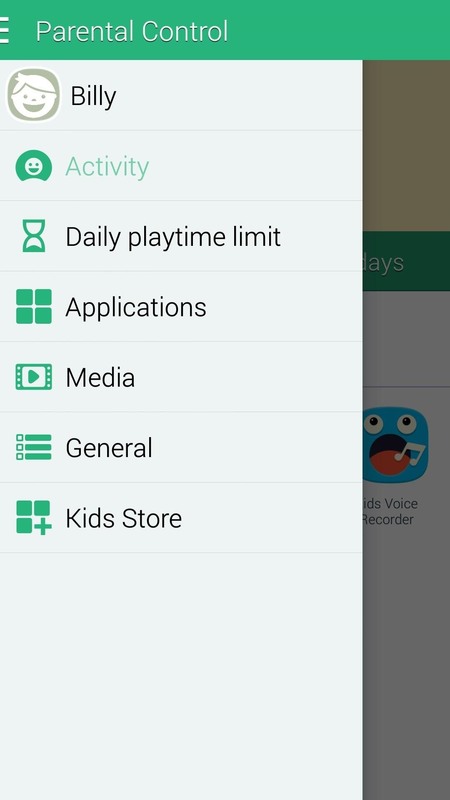 Kids Mode is basically a striped down launcher, with some serious parental controls. But before we get into that, let's quickly explore what it looks like, starting with the home screen. 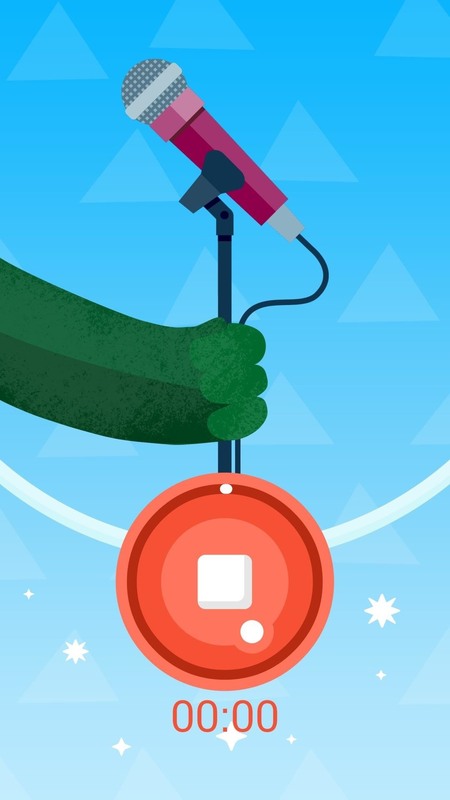 Swipe once to the right to unveil a clock widget and a dino-alligator-thingy. 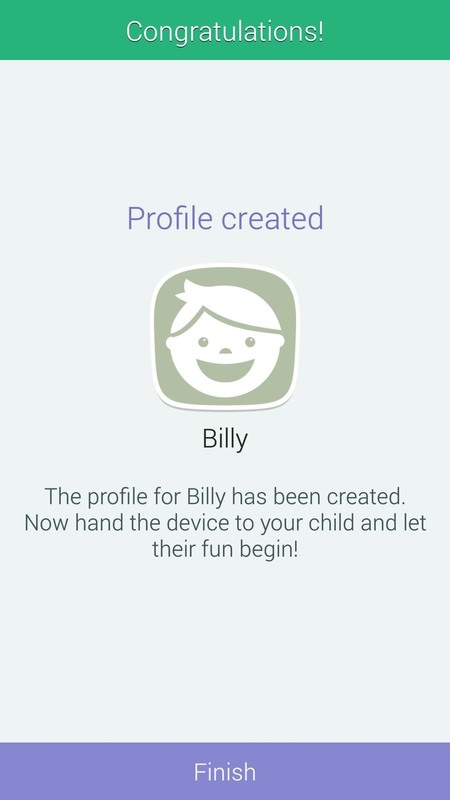 Tap him, and your child can customize its appearance. 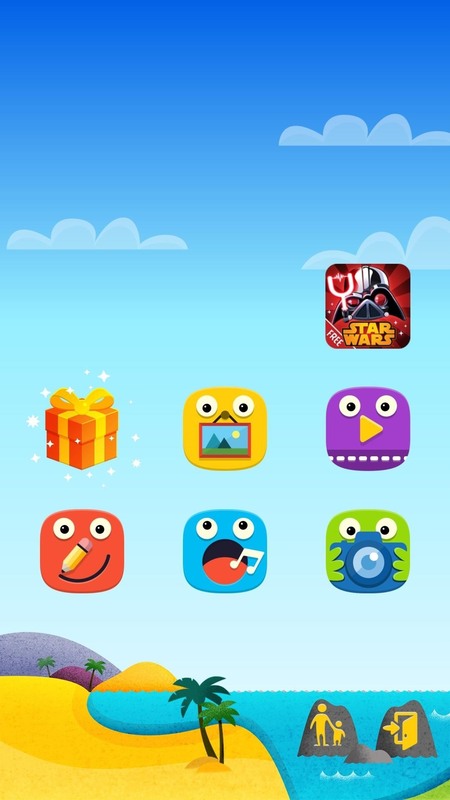 Back on the main home screen, you'll see the apps you've allowed in little gift boxes which your child can tap to unwrap. These are accompanied by five standard apps: Gallery, Media Player, Doodle, Sound Recorder, and Camera. 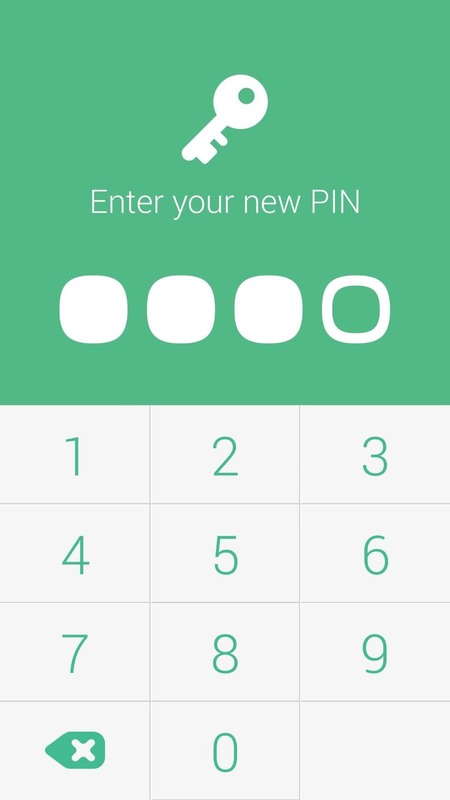 Back on the main home screen, you'll see two icons toward the bottom on the screen, each of which will require your PIN to access—Settings, and Exit. Exit is easy enough—it allows you to leave Kids Mode and return to your normal launcher. Settings will let you monitor activity, set play limits, add more apps, enable media, download more apps, and more. Simply tap the three-bar menu button on the top left-hand side to access these options. Personally, I think this is a great feature, and will definitely use it the next time my nephew asks to play games on my phone. The fact that they can literally not mess up a thing on my device is a great relief, and because the S5 is built like a brick, I'll have nothing to worry about with those grubby hands on my expensive smartphone. I've noticed that an alarm won't go off when the phone is in kids mode. Is there a way to fix this? 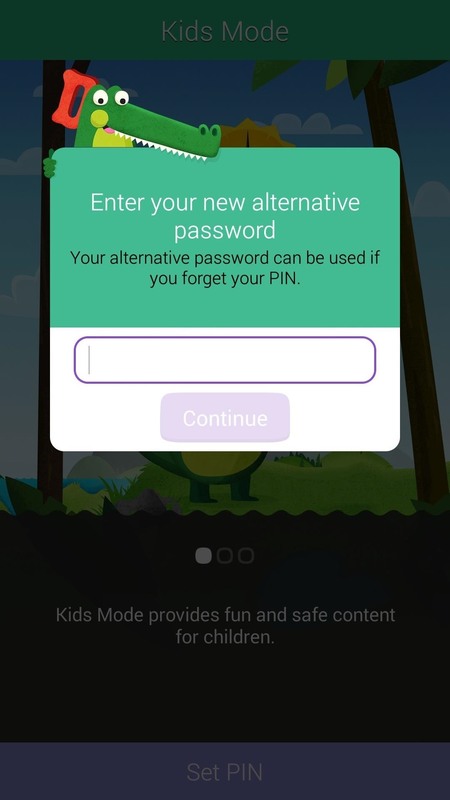 Other than the alternative password... there is no other way to get out of kids mode. Yikes! I don't even remember setting this up. Does anyone know of another way to exit? 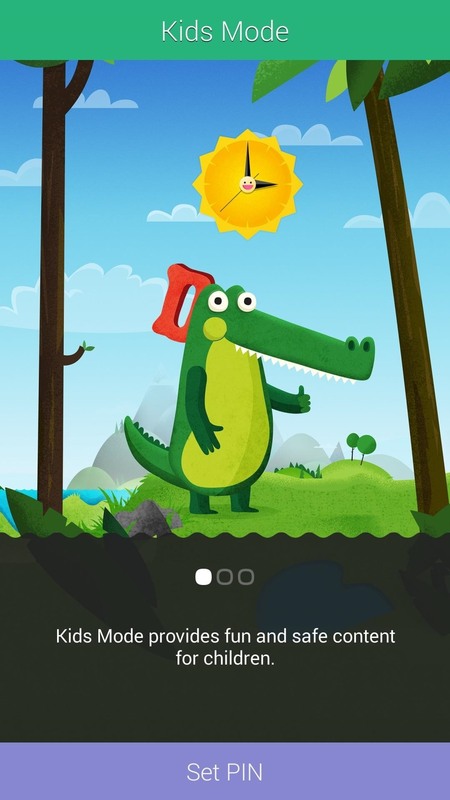 I downloaded this on my old S3 (more or less the kid game phone) and the alligator is coming out distorted and wrong. 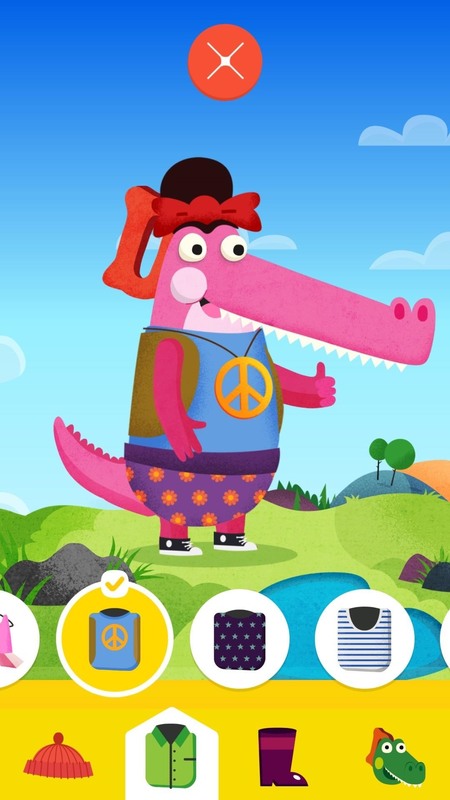 and that is my daughter's favoritepart of the app, is the alligator. help. Why is my gator glitchy? 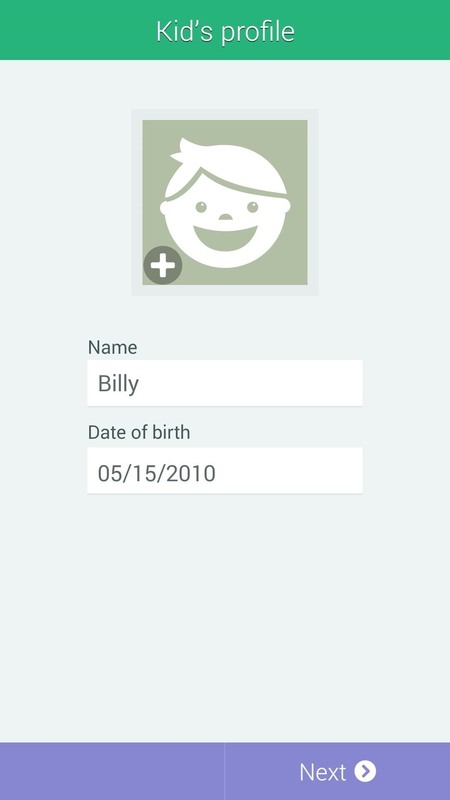 The app was designed specifically for each Samsung device. The version on this page was programmed for S5, not S3, so it won't work properly on the S3. 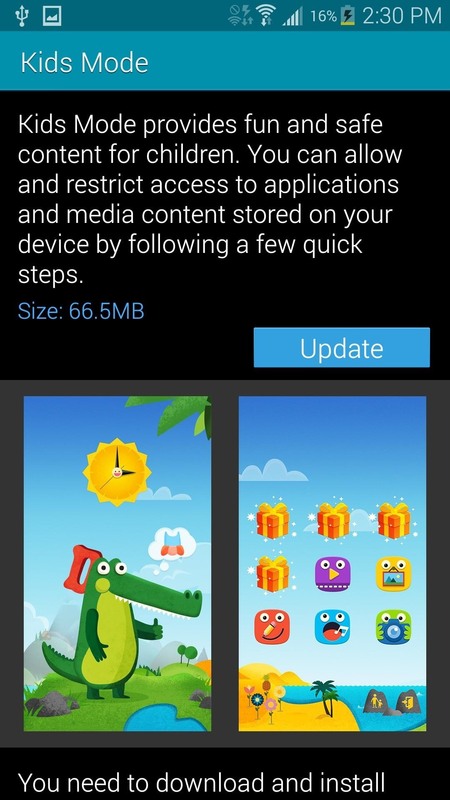 Try launching the Samsung appstore and if it's in there, that version will be specifically designed for the S3. It just keeps saying one or more apk need to be downloaded and then says unable to connect to server, please try again later. 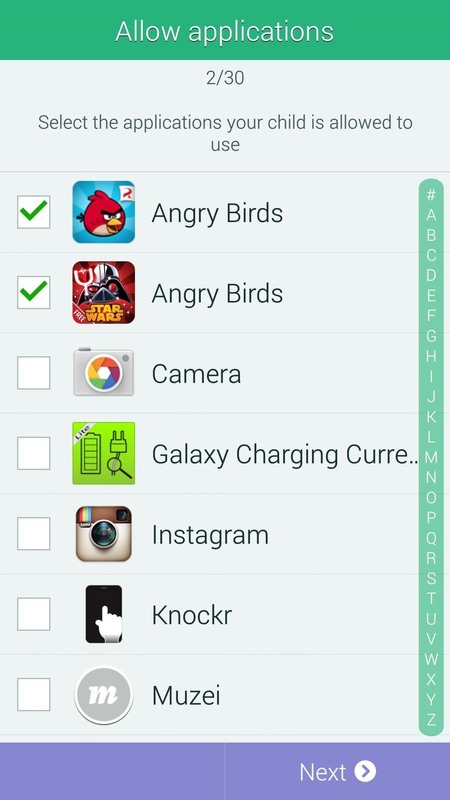 If you have a Galaxy device, launch your Samsung appstore and you should be able to locate it in there. If you don't, then there is no version of this designed for your device. 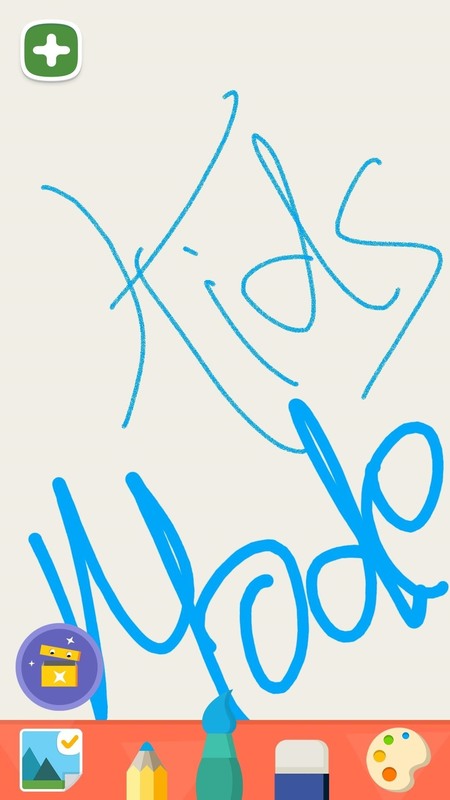 This Kids Mode app is specifically designed for specific Samsung Galaxy devices. Each one has a special version designed for it. I'm trying to install this on a Verizon Ellipsis/Quanta QTAQZ3. It won't install. It successfully installed on my Samsung Galaxy Note 4, but it repeatedly asks for additional APK installations and never installs them, because this is the Galaxy S5 version. If you have a Galaxy device and you're looking to install this, launch your Samsung appstore and you should be able to locate it in there. I have SM-G900T/S5 and I tried the guide above the additional apk files never install, please guide me with that. I am also not able to locate it in appstore I tried from web it says phone not compatible. 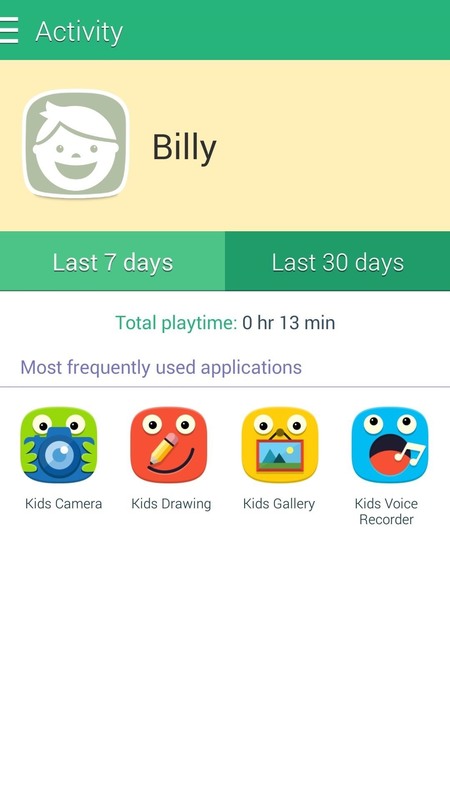 Why isn't there a delete option for the pictures, videos and sounds my kids made in kids mode? They have made too many files and I can't figure out how to delete some of them? 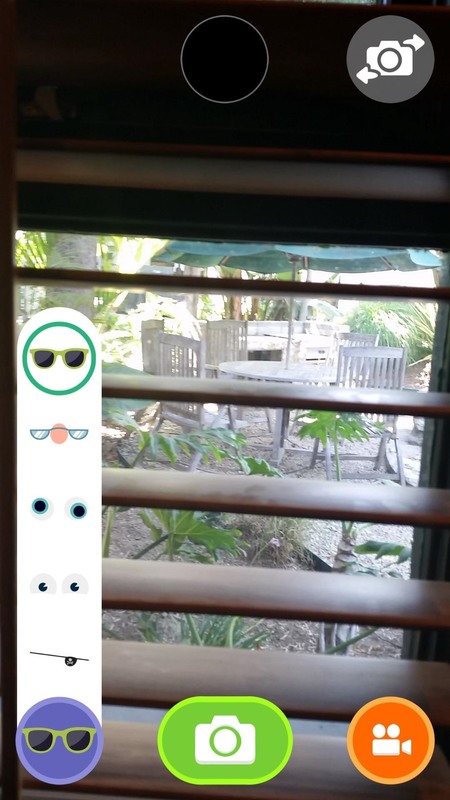 I love this app for my kids. But recently while they are on it my Facebook messenger will show the chat heads while they are on kids mode. How can I keep thme being able to access my messenger? I went through and and it's not on anything they can access I have tried everything I can think of to block it from kids mode but it won't work. HELP!!! !